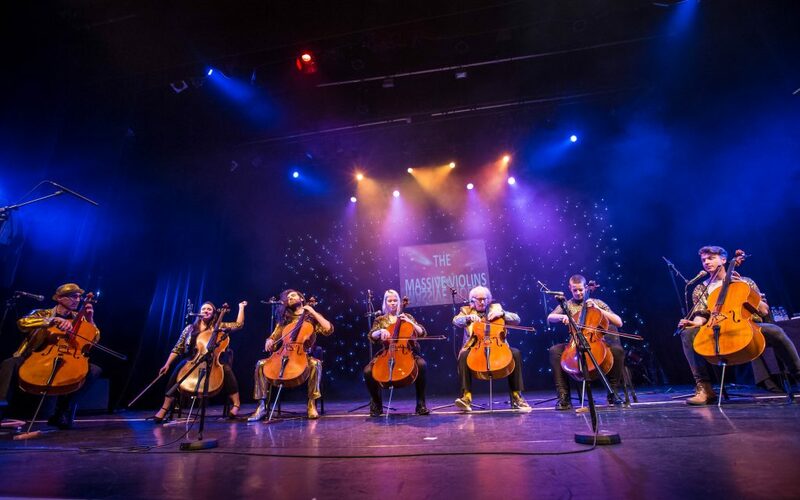 The Massive Violins are a band of seven singer-cellists performing unique, virtuoso arrangements of popular classics ranging from Queen’s Bohemian Rhapsody to Eminem’s Stan to Mozart’s Queen of the Night. 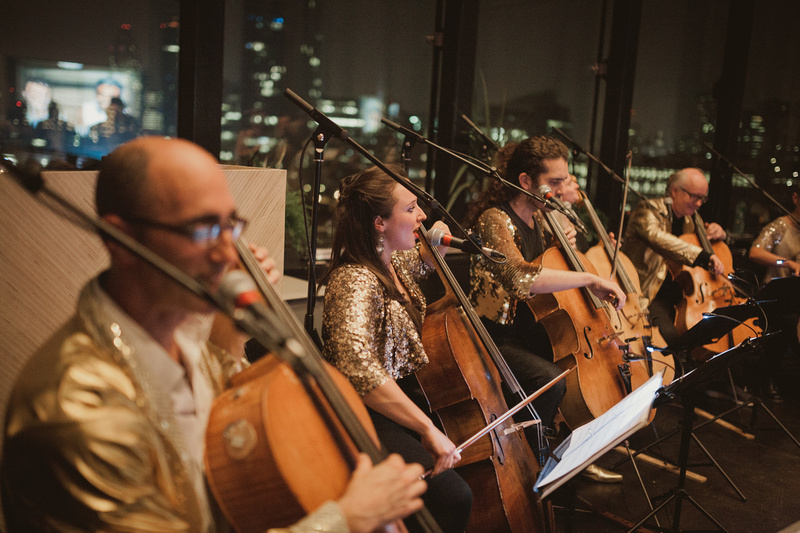 They offer a highly entertaining night of musical surprises, and perform regularly at festivals, weddings and corporate & private functions. 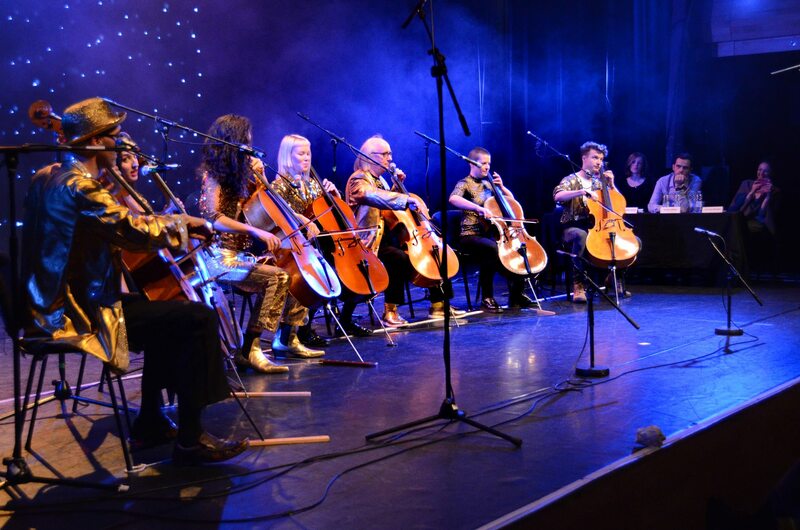 The Massive Violins are: Ricky Chatto (cello and vocals), Guido Martin-Brandis (cello and vocals), Jess Chandler (cello and vocals), Matt Knott (cello and vocals), Camilla Farrant (cello and vocals), Grace Chatto (cello and vocals), Saul Berkowitz (cello and vocals). 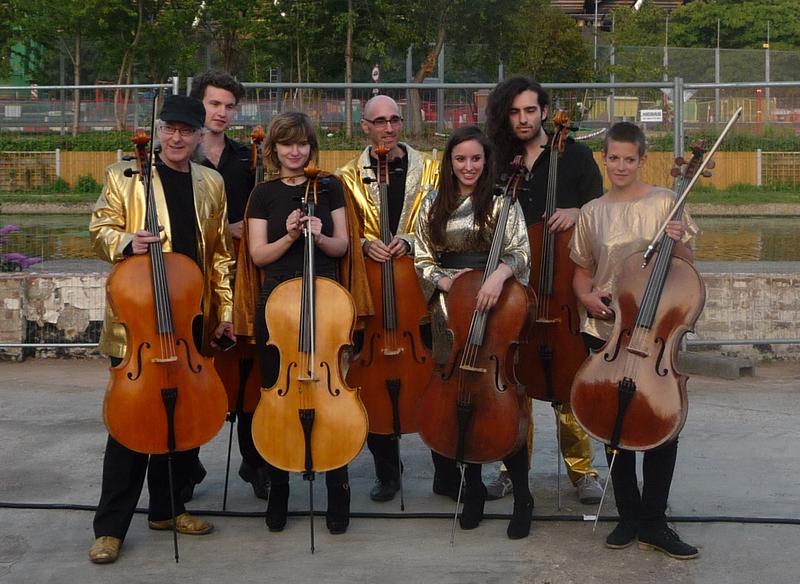 As well as a regular residency at Hornsey Arts Centre and sellout biannual shows at Cecil Sharp House in Camden, we have performed at the Print Room Theatre, The20th Century Theatre (supporting Fascinating Aida) and Folly For A Flyover, designed by Turner Prize winners Assemble. We have played at festivals including Frinton-on-Sea, Lawnfest and the Isle of Arts Festival on the Isle of Wight. We were also crowned the winners of North London’s Got Talent. 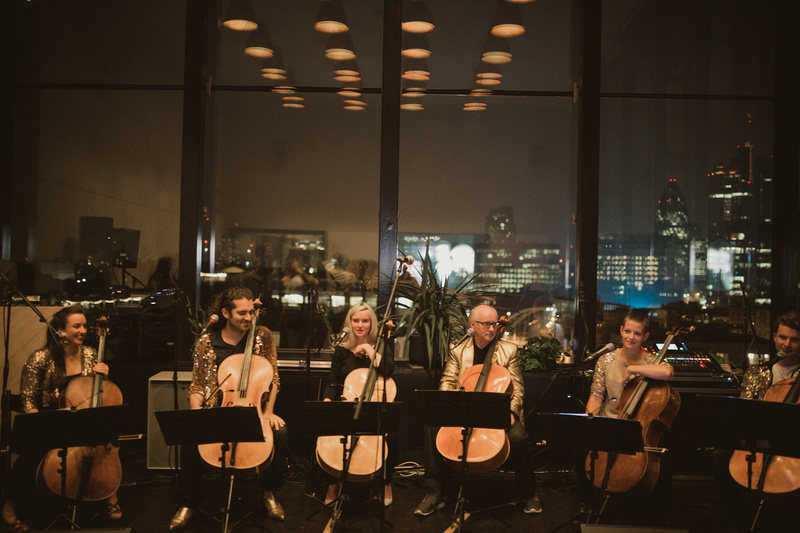 We have played at a wide variety of wedding venues ranging from the Ace Hotel in Shoreditch and the Century Club in Soho to outdoor spaces in Berkshire and France. We can provide music for the ceremony (walking down the aisle and/or the singing of the register), entertainment during reception drinks, a concert performance for guests, or any combination of the above. We are also usually able to accommodate specific musical requests. 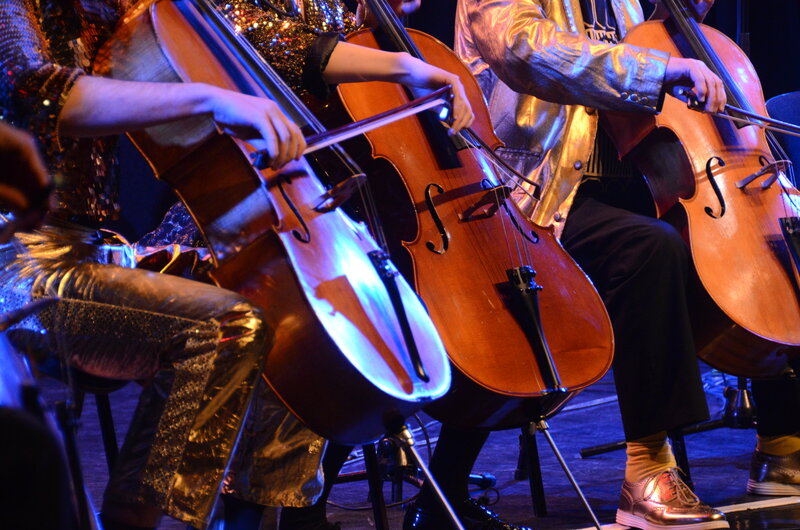 We have provided entertainment at an ever-expanding range of events. Launch parties include Channel 4’s Random Acts, Bradley Cooper’s The Elephant Man at the Haymarket and the London Olympics’ Films on Fridges pop-up cinema. Private functions include a Great Britons dinner attended by Shirley Bassey, Pierce Brosnan and Steve Redgrave, and events at Christie’s auction house, the Unite Christmas party and an investment conference in Amsterdam, The Netherlands.